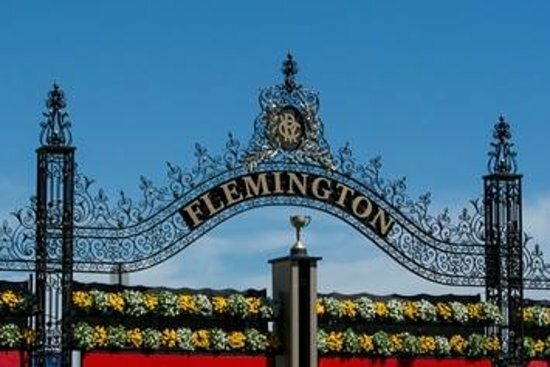 Flemington, located in Melbourne Victoria, is on the best racecourses in the world. 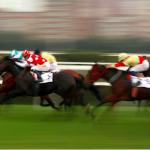 Did you know that Australia’s thoroughbred horse racing industry is #3 on the entire planet? Isn’t that amazing? The most important race in Australia is the Melbourne Cup. It has captivated Australians and has them under its thrall. 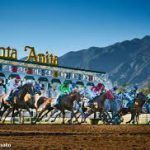 As a matter of fact, it’s considered to be the “race that stops a nation.” Another popular pastime here is competitive endurance riding, making the Tom Quilty Gold Cup one of the most coveted awards in the league. These races are run on exquisite courses, where gorgeous landscapes abound. But, which ones are the most beautiful? By and large, this is one of the most popular courses in Australia. It’s 2080 meters long, triangle-shaped, and has 4-6% banking on turns. While this is unusual for racecourses, it sure makes for some interesting races. Another way to make these races interesting is by placing bets on your favorite to win. Just like betting on the Grand National, you can win a lot of cash. 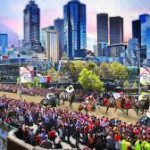 Although commonly known for the Australian Derby, this illustrious racecourse hosts other important events like the AJC Queen Elizabeth Stakes (also knowns as the Queen’s Plate) and the AJC Oakes. Besides being a venue for the events mentioned above, this racecourse was used as a location for the popular action movie, Mission Impossible. Interestingly enough, it’s also used as a testing site for those taking the University of New South Wales exams. This racecourse isn’t just one of the most beautiful in the country, it was added to the Australian National Heritage list little more than a decade ago. 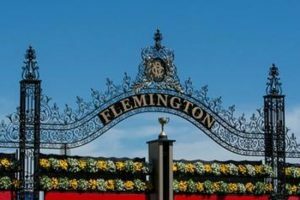 It’s also home to the horse race with the highest purse, the Melbourne Cup as well as a few other important Australian horse racing events as well. The racecourse itself is 2312 meters long. But, perhaps the most interesting thing about this is, races are run counterclockwise instead of clockwise. Also notable is the bronze statue of Phar Lap, a truly magnificent specimen, that’s on the property. There’s no doubt about it – Australia is a beautiful country and its racehorse courses are topnotch. But, you haven’t truly seen what it has to offer until you’ve visited one of the venues listed above. They are exquisitely beautiful and their events are nothing short of enthralling. They are definitely worth a visit. So, what are you waiting for? See you there! Have you visited any of the racecourses the list? If so, what was your experience? If not, would you visit? Did you agree with our list? Did we leave anyone out? Share your opinions in our horse racing forum. We look forward to hearing what you have to say.